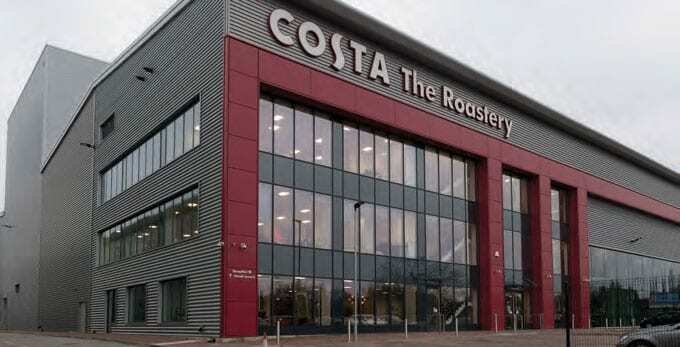 Above: The new Costa roastery in Basildon, Essex, before it opened for full production. Shortages of skilled and unskilled labour will become more acute as the realities of exiting the EU bite – in whatever form that exit plays out. Other effects already evident by December 2018 included the announcement by the Food & Drink Federation that chilled and frozen storage across the country was full to capacity, as manufacturers and importers hedged against looming supply-chain uncertainties. In the Food & Drink Federation’s (FDF’s) quarterly business confidence surveys throughout 2018, companies consistently reported increased ingredient costs and exchange rate volatility as key risks to business success last year and into 2019. “For SMEs, retail market consolidation was one of the top three barriers expected to impact the success of their business in 2019,” Angela Coleshill, competitiveness director for the FDF, observed. Specific events included the takeover of Booker by Tesco, Nisa by the Co-op and the proposed merger of Sainsbury’s and Asda. Market segments offering growth prospects include organic products. Soil Association Certification, trade relations manager Lee Holdstock says: “Research suggests that sustainable and valuesbased propositions are becoming more downturn-resistant. This is perhaps the area where organic will stand out most prominently in 2019.” Support from the discounters, such as Aldi and Lidl, has helped in terms of availability, he added. More generally, he states: “[Our] retail trend predictions for  put sustainability as one of the main focuses for both retailers and shoppers.” For industry, this is not just about food waste, but about carbon footprint and, most visibly, choices regarding the packaging around its products. In 2018, the Government proposed a new tax on plastics without at least 30% recycled content. This, along with a new waste strategy, overhauled funding mechanisms and proposals for a deposit return scheme for containers will all up the ante during 2019. The search for alternative proteins has given new importance to some neglected categories. For example, Petrow Food Group quotes Kantar Worldpanel figures saying that UK sales of nut butters grew by almost one fifth during 2017 to reach nearly £94M (see sidebar). In late 2018, the rush by major brands such Kellogg’s and PepsiCo to embrace traffic light labels could be seen as an attempt to head off even greater, regulated visibility of sugar, salt and fat levels, he suggests. Other Brexit effects include threats to the workforce. According to FDF, the industry employs approximately 400,000 workers, some 117,000 of them from other EU countries. But 2017 already saw a drop in the number of EU workers, and this trend is continuing. Meanwhile, the Government has been trying to incentivise businesses large and small to buy into its Apprenticeship Levy, introduced in 2017. The autumn 2018 budget saw the announcement of a halving to 5% of fees payable by small businesses when accessing apprenticeship training. 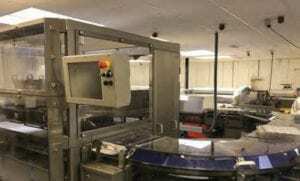 Small-to-medium-sized enterprises (SMEs) make up some 97% of the food and drink manufacturing sector. One increasingly important metric for the industry is the amount of waste, and in particular food waste, it generates. At research and training organisation IGD, head of technical programmes Alan Hayes says: “Every year, the UK wastes £20 billion in terms of food that goes unused, and this comes to more than £300 per person.” The industry’s ‘Food Waste Reduction Roadmap’ aims to halve food waste by 2030. 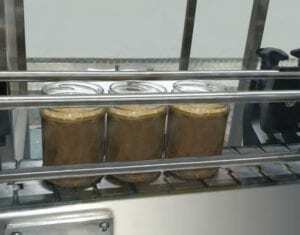 Although best-known as an ingredients supplier, Petrow Food Group spotted an opportunity with nut butters and began operating a new £1.8 million production and packing line for food service, manufacturers and retail customers. 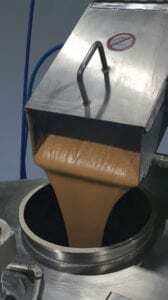 Petrow can produce almond, hazelnut, cashew, pecan and pistachio nut butters. But allergy control is tighter here – as elsewhere – than ever before; the factory is maintained as a strict peanut-free zone. While many food and drink manufacturers continue to struggle in the face of retailer discounting, constrained consumer spending and economic uncertainties fuelled by Brexit, a core of brands – particularly in premium segments – are defying the odds. Hotel Chocolat is a prime example, having seen revenue growth of 11% in the year to July 2018. 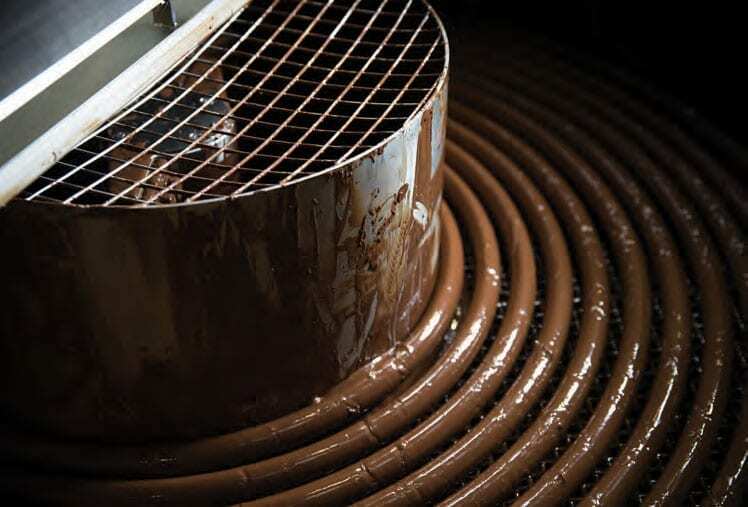 “We are also making significant investment in our manufacturing – in January we completed a £1.4m project to increase our molten chocolate handling capacity by 190%,” says the company. It was reported in September that the manufacturer was planning to complete construction of a fourth production line at its Huntingdon bean-to-bar factory by 2021, boosting capacity by a further 30%. The brand exemplifies current upsides to UK food and drink manufacturing in other ways. It is truly ‘multichannel’, now boasting 113 of its own stores in the UK and overseas. It is pursuing franchise and joint-venture opportunities in Scandinavia, Japan and the US. Online sales through its website grew by 14% in the year to July 2018. By having its own retail spaces, including 30 combined shops and cafés, the brand is taking its premium offering direct to the consumer. New introductions for autumn 2018 included an in-home ‘hot chocolat velvetiser’ and a ‘chocolat’ cream liqueur. Coca-Cola’s $5.1bn swoop on Whitbread’s Costa Coffee business in August 2018 was an offer that the parent company was never likely to refuse. The spotlight fell yet again on a brand which had its own route to the consumer, rather than relying on the vagaries and tight purse strings of the multiples. There is a ‘production’ side to Costa, too; the brand-owner opened a new roastery in Basildon, Essex, during 2017. The move reinforced the narrative of overseas businesses buying up UK-owned brands and manufacturers. Earlier in the year, commercial law practice EMW estimated that 47% of UK food and drink businesses were foreign owned, up from 44% the previous year. Half of UK manufacturers having overseas owners feels like a significant milestone. 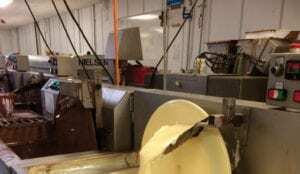 Premium chocolate brand Montezuma has been investing in new machinery to help meet rising demand. 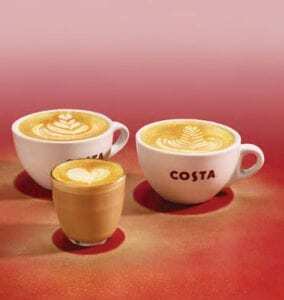 Costa Coffee’s business model has kept it in control of its distribution channels, as well as production. Its special blend made it irresistible to the Coca-Cola Corporation, which acquired it from Whitbread in August 2018. Despite “extremely negative” consumer confidence, research organisation GlobalData points out that some brand-owners have seized on opportunities in the premium and better-for-you segments. “While consumer spending may have slowed overall, interest in occasional, indulgent experiences has risen as consumers look to get more for their money,” says consumer analyst Jonathan Davison. It is not only consumer confidence which suffered during 2018. In the Food and Drink Federation’s (FDF’s) quarterly business confidence survey, for example, just under 80% of businesses cited increased ingredients costs as the biggest impact on their business in Q3. “Economic uncertainty saw confidence decrease by 21 percentage points between Q1 and Q3 of 2018,” says FDF competitiveness director Angela Coleshill. 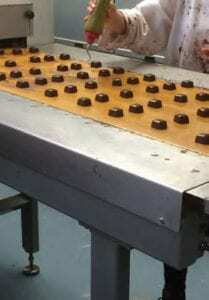 Montezuma chocolates are hand-made but packaging is automated. 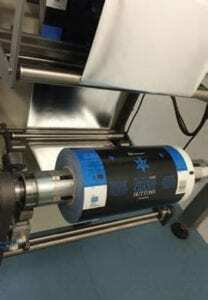 Petrow’s new £1.8 million nut butters line can produce and package almond, hazelnut, cashew, pecan and pistachio nut butters for foodservice, manufacturer and retail customers. 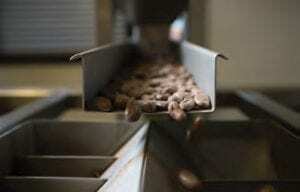 Allergy control is top priority: the factory is maintained as a strict peanut-free zone. On the positive side, it is always instructive to look at the companies targeted by private equity. Earlier in the year, alongside Montezuma’s, Inverleith became a majority shareholder in Good Hemp and its portfolio of hemp-derived non-dairy milk, oil, protein flours and seeds. Plant-based milk alternatives have been one of the growth categories of 2018, as have plant-derived alternatives to meat. Debate around meat-free and vegan options became mainstream, with leading meat-free brand Quorn estimating that the category is growing at 15% a year in the UK (see sidebar). Kraft Heinz is backing plant-based foods with a different type of appeal. It continues to invest heavily in its Kitt Green site near Wigan. In the summer, it announced capital investment of £13.6bn in its Snap Pot baked bean line, having already upgraded canning lines for beans, pasta and soups. Meat and poultry still account for a massive slice of the food industry, of course. In October, for example, Cranswick began construction of its £60M poultry plant at Eye in Suffolk, adding to the three processing sites and the farming operations it has across East Anglia. THE OPENING IN NOVEMBER 2018 OF QUORN’S EXPANDED BELASIS, BILLINGHAM, FACTORY ON TEESSIDE SAW THE SITE OFFICIALLY CROWNED AS THE WORLD’S BIGGEST MEAT-ALTERNATIVE PLANT. CEO Kevin Brennan makes a link between the new 20,000-tonne capacity and the need for major cuts in global CO2 emissions. By eating less meat, he argues, we can all make a significant contribution. “The opening of the new production facility will play an important role in this, as it doubles the production capacity of Quorn’s core products,” he says. The expansion was part of a £150M investment in its mycoprotein-based products by Quorn Foods, which is owned by Philippines-based Monde Nissin. 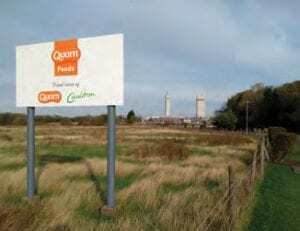 Quorn’s expanded factory in Billingham, Teesside, was officially opened in November 2018. 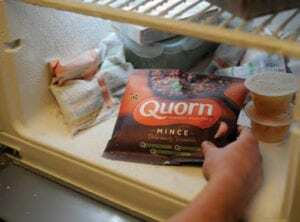 Quorn’s expanded capacity at its Belasis, Billingham, Teesside factory is part of a £150M investment in its mycoprotein-based products in Quorn Foods by Philippines-based parent company, Monde Nissin. The company has seen an upsurge in sales, reflecting a strong reported rise in demand for meat-free and meat alternative foods.